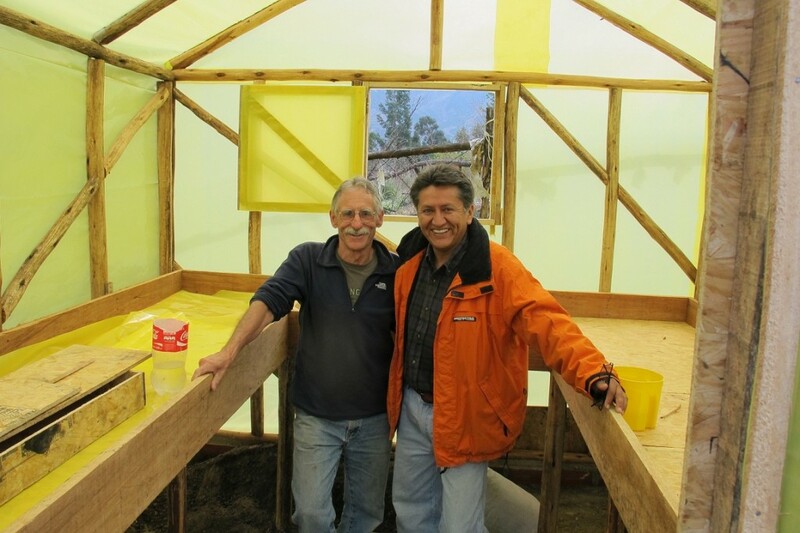 “When should we start building the Invernadero?” Doug asks Rolando on our first morning with Up Close Bolivia. 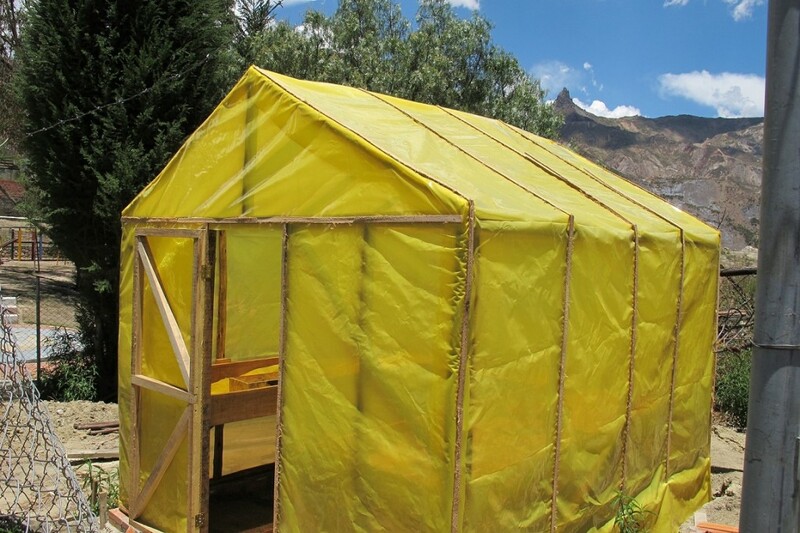 ”Ahora,” Rolando responds, “now,” and the next thing we know, Rolando and Emma have whisked us off to the hardware shops in Calacoto, a southern suburb of La Paz, to buy everything they will need to build a greenhouse. As in many areas of La Paz when it comes to selling goods, we arrive at a street that has about twenty little hardware stores, each selling identical products. There are streets and alleys across the city and in the central market specializing in just about everything. Need a camera? Go to the street in central La Paz with dozens of stores selling camera equipment. Or, how about a wedding dress? Just head to the bridal shop street! 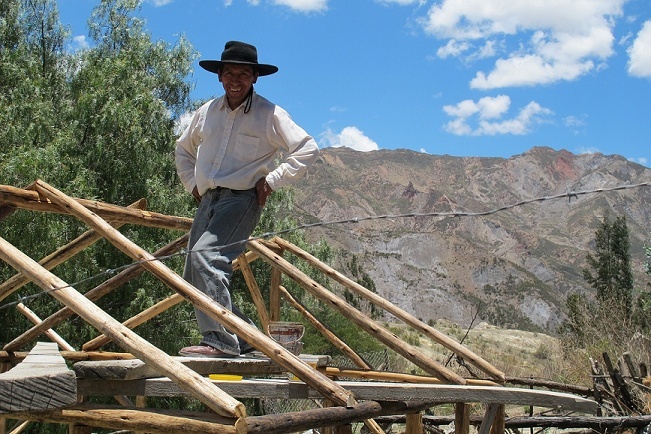 With funds generously donated to Up Close Bolivia and without hesitation, Rolando leads us to his favourite shop and the dos carpinteros start collecting materials; nails, screws, anti-termite stain, paint-brushes, and metres of yellow-tinted plastic. Apparently the sun here is so strong that clear poly doesn’t last. And, just as I am beginning to glaze over in the midst of all of this talk of length of nails, size of screws and thickness of poly, Emma appears from across the street with four salteñas, the delicious empanada-like pastries available from little stalls every morning around Bolivia. The minute I bite into my first salteña, I am brought back to life, although I may not be the prettiest sight. The art of salteña- eating requires a bit of skill in order to avoid the sweet, savoury, spicy juices from running down your chin and all down your front! I make a mental note to get a lot more practice in the coming weeks, as I reach for a stack of napkins. 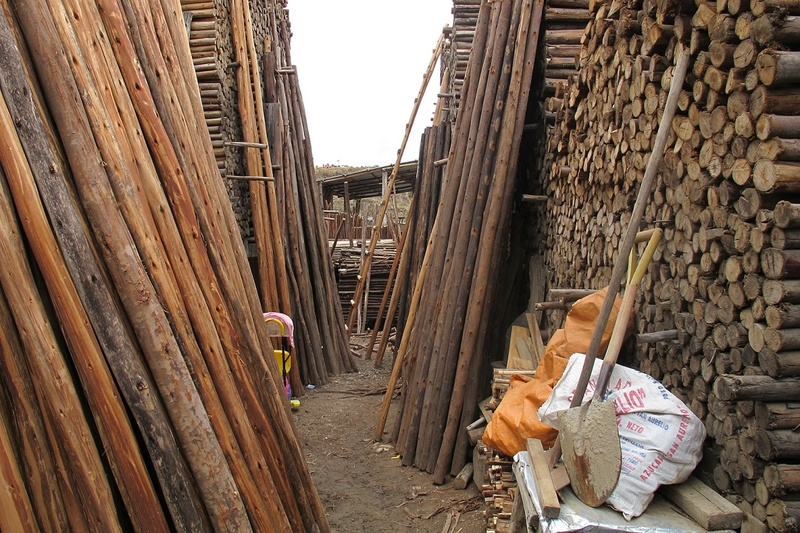 Once we have our hardware, it’s off to the “pole lot” to buy the poles for the greenhouse structure. 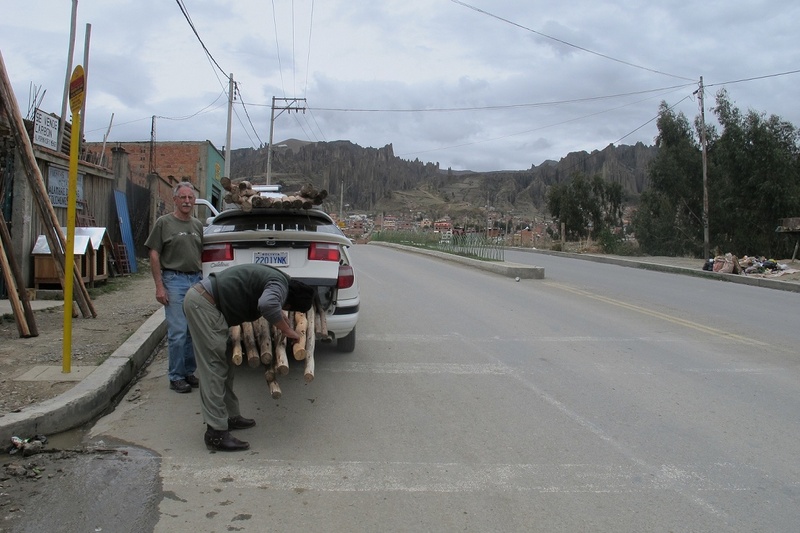 Then we jam the poles into a taxi for delivery to Mallasa. Doesn’t every lumber shop deliver by taxi? 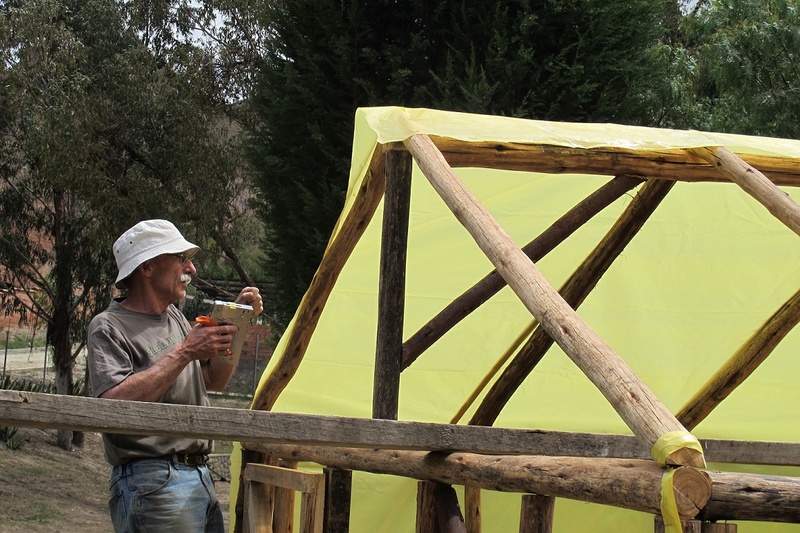 Over the coming weeks, Doug, with the assistance of Walter and Rolando built a 3 metre square greenhouse in the grounds of the Valle de la Luna Children’s Centre. Working with the hardwood poles required some different techniques, new to a Canadiense carpintero. As Doug explained, “the wood is so hard that not only do you have to pre-drill the holes, you have to dip the screws in grease so that you don’t burn the *@x! out of the drill.” Every day, we watched with excitement as the greenhouse took shape. 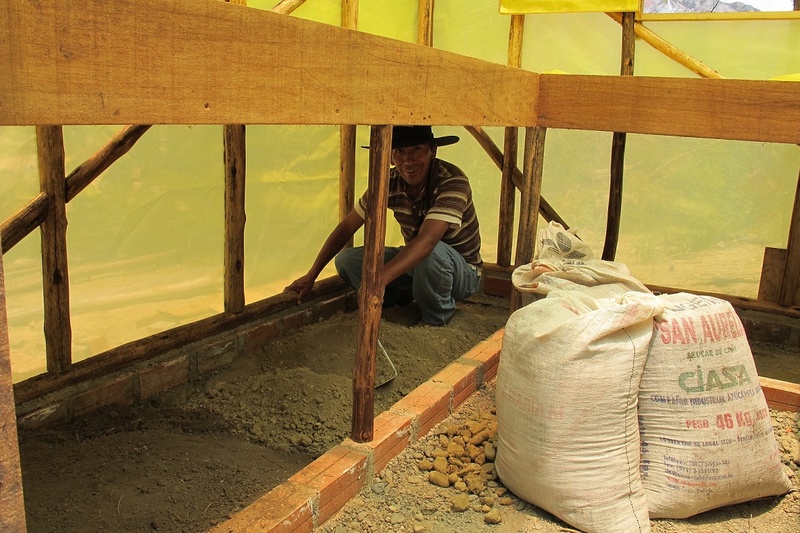 Walter, an agrologist by trade, mixed the soil carefully and chose a variety of seeds, Maxima was thrilled at the prospect of cooking with fresh greens and the niños ran around the playground calling out, “hola, hola, hola, señor.” From the brick and hand-mixed concrete foundation to the seedlings sprouting in their beds, the project took about four weeks. Not fast enough for a multi-tasker like Doug, who was working part-time while also taking Spanish classes from the lovely Wendy, but warp-speed to the rest of us! Merry Christmas from Windermere, Canada! The greenhouse project looks terrific, and we enjoyed all your excellent photos and stories of people and community life. 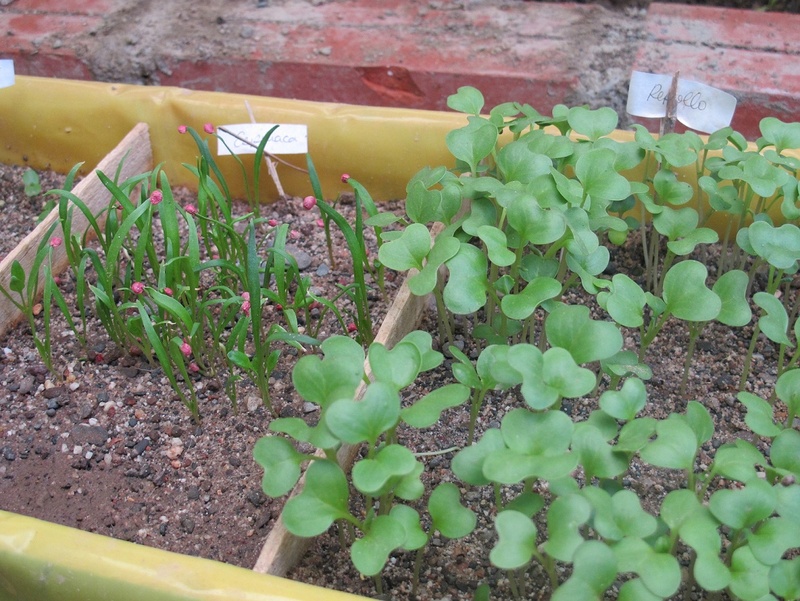 The sprouting greens in your greenhouse look much more vigorous than than the anemic spinach we have up this way. Doug you are going to be Invermeres resident expert on rough carpentry in its original meaning. 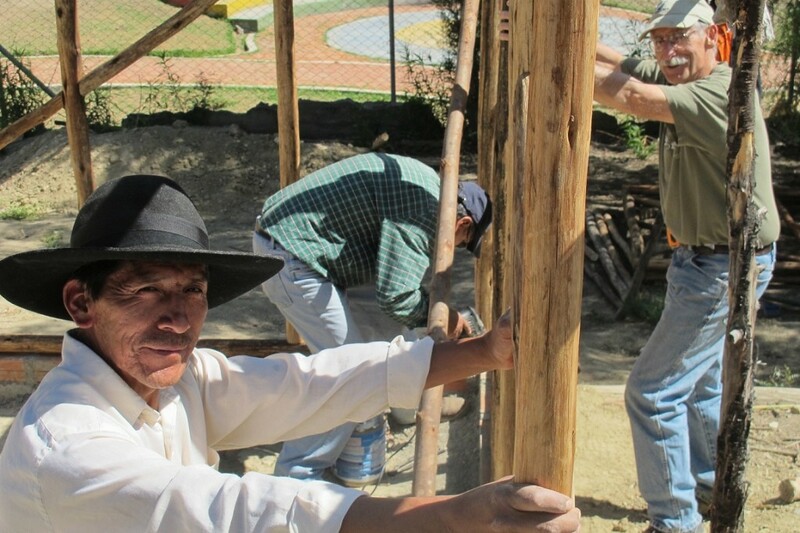 We have enjoyed following your blog and look forward to hear your story from Andean Alliance. Say hi to Wayne for me and have a happy new year.